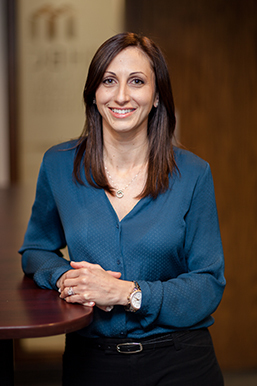 Prior to joining the firm in 2016, Lisa worked as the Planner for a commercial developer for eight years where she was involved in the planning of commercial, office and industrial projects across the GTA. Lisa brings with her a breadth of experience in land development from site acquisition through to construction including obtaining development approvals (including Site Plans, Plans of Condominium, Consents, Minor Variances, Zoning By-law Amendments and Building Permits). She also worked in the public sector assisting with public consultation programs for Environmental Assessment projects. Lisa has gained relevant Planning and Project Management experience working in a fast-paced and demanding environment and continues to apply those skills in her role at MHBC. Lisa received her Honours Bachelor of Arts in Urban Studies and Geography and her Master in Environmental Studies (Planning) degrees from York University. Lisa is a full member of the Canadian Institute of Planners and a Registered Professional Planner in Ontario.